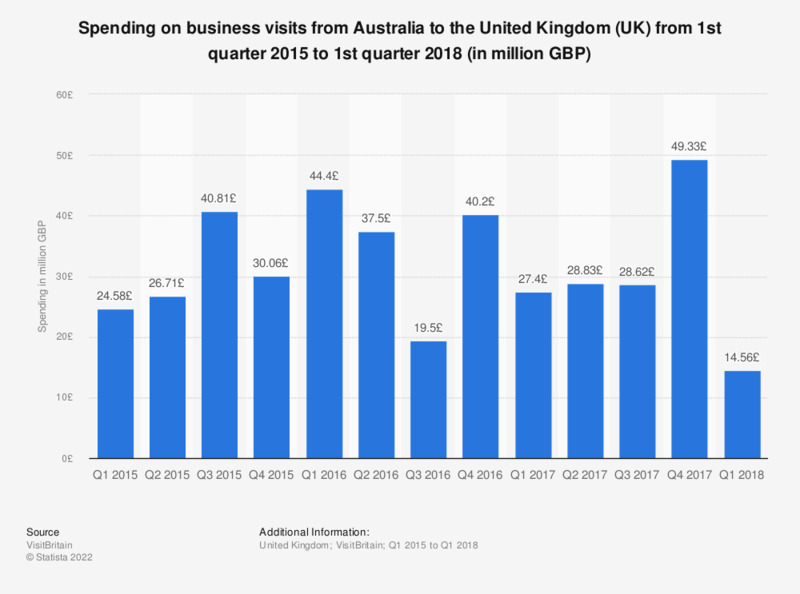 This statistic shows business travel spending from Australia in the United Kingdom (UK) from 1st quarter 2015 to 1st quarter 2018. In the first quarter of 2018, similar spending on business trips amounted to approximately 14.6 million British pounds. The release date is the date of access.